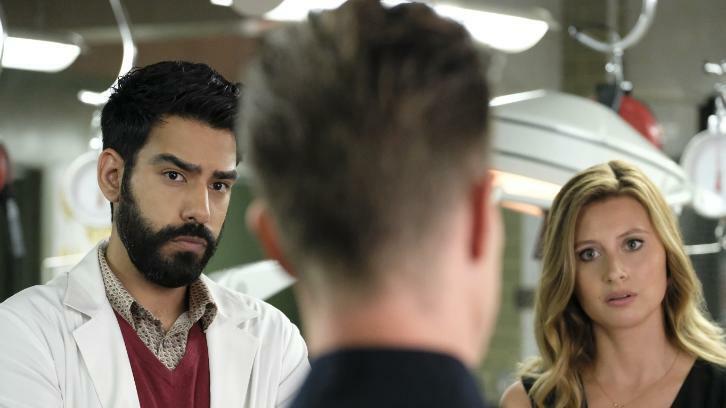 DANIEL BONJOUR (“FREQUENCY,” “THE WALKING DEAD”) GUEST STARS — While tracking the murder of a hockey player, Liv (Rose McIver) stumbles onto Chase Graves’ (guest star Jason Dohring, “Veronica Mars”) evil plan. Meanwhile, Major (Robert Buckley) is forced to make a horrible decision. Lastly, Peyton (Aly Michalka) tries to contain a volatile situation. Malcolm Goodwin, Rahul Kohli and Robert Knepper also star. Joaquin Sedillo directed the episode written by Bob Dearden (#405). Original airdate 3/26/2018.